Two Challenges - Worth Taking! With Earth Day coming up, we are challenged by a lot of "you can do." 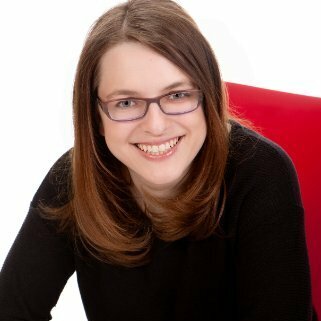 Individual efforts matter, but how much? Earthworms endorses two challenges that WILL have an impact, in our lives and for our planet. 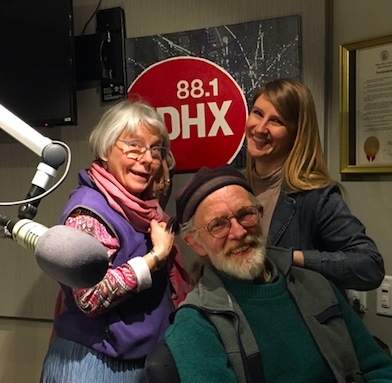 The DRAWDOWN Eco-Challenge, running nationally April 4-25, builds on ten years of eco-challenge experience from Northwest Earth institute to engage individual actions. Multiplying impacts, this 2018 challenge correlates our actions to the measures mapped, measured and prioritized by Project DRAWDOWN for collective capacity to pull climate-changing carbon out of Earth's atmosphere. Lacy Cagle, Director of Learning for NWEI, shares these potentials with Earthworms host Jean Ponzi. 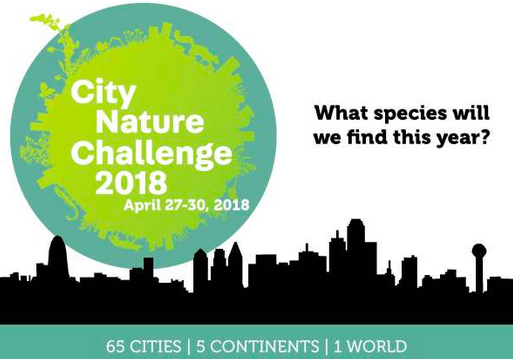 Then from April 27-30, residents of the St. Louis region - and 65 other cities around the WORLD - can contribute to understanding about local biodiversity by participating in the City Nature Challenge, as described by Earthworms guest Sheila Voss, VP of Education at the Missouri Botanical Garden . Using the (totally terrific!) 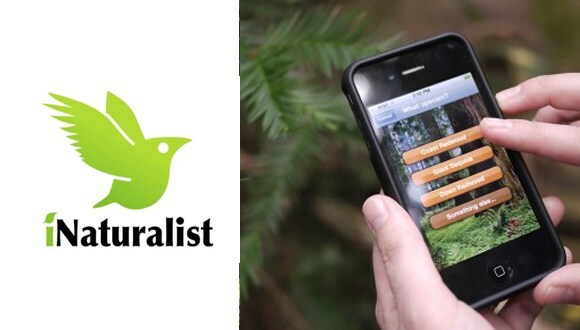 app iNaturalist, humans of all ages can log observations of plants and critters as communities "compete" to gather intel about local biodiversity. 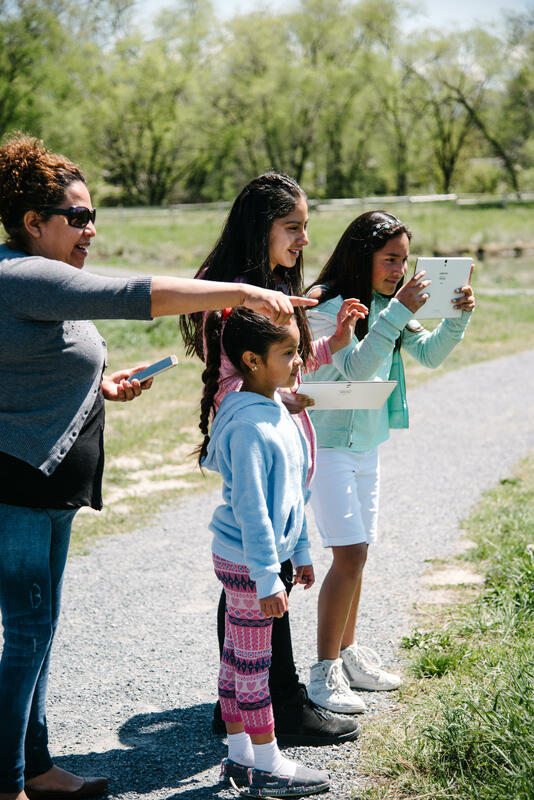 In St. Louis, observations logged during City Nature Challenge days will establish a baseline of biodiversity data crucial to address regional nature-preservation goals. In Earthworms' opinion, these are two Challenges WORTH TAKING! When Artists address environmental issues, people see/hear them in new ways. Art may fire us into action, more than mere info ever can. 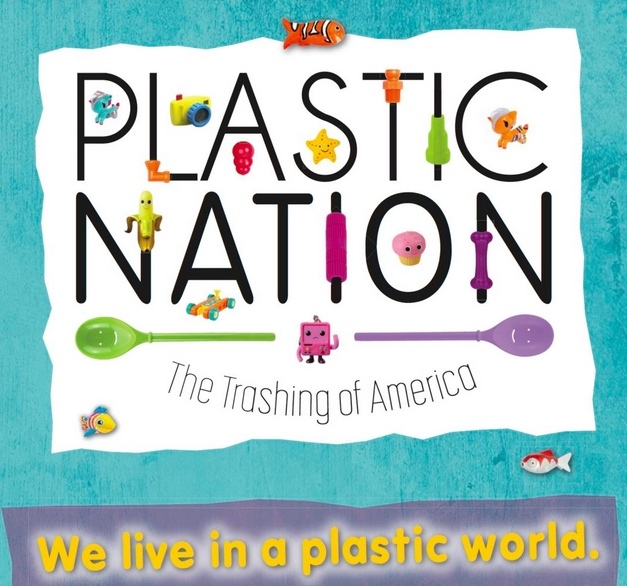 Jenny Kettler co-curated and has pieces in a group gallery show, Plastic Nation - The Trashing of America, on view through April 7 at Stone Spiral Gallery in Maplewood, MO. Photographs, multi-media works, ceramics and prints navigate the plastic tide we are awash in, with the message that we can reduce our use of this polluting stuff. This show opened March 10; a Closing Reception on April 7 from 2-4 pm will feature Artist Talks at 2:30 pm. Dale Dufer is bringing "suit" against one of our region's most destructive yet popular invasive plants. 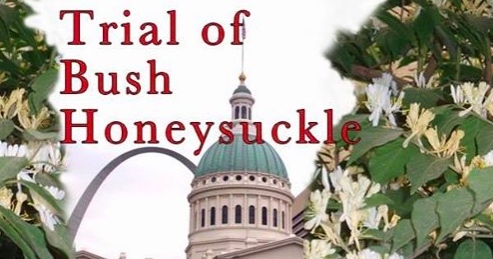 The Trial of Bush Honeysuckle comes to the historic Old Courthouse in downtown St. Louis on Wednesday, April 4 at 1 pm. With a real Judge, real Environmental Lawyers and Expert Witnesses, this educational trial seeks justice for damages to the Biodiversity of our Native Plants. Man vs Bush should be a landmark case, whatever the outcome. Open to the public. These Artists want us to look deeply into problems we have created on our planet - with a sense of humor to encourage us toward turnarounds. 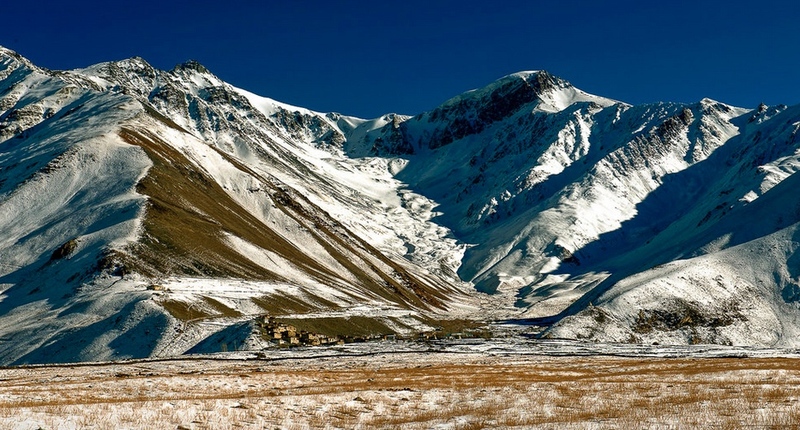 "Global warming is changing the Himalayas faster than any other region of the world, outside the polar caps," says documentary photographer Neeta Satam. She has made three working treks to the isolated village of Kumik, in the Zanskar valley of Kashmir, where village life, family relations and culture is endangered as climatic shifts remove water from a people who've lived in balance in this region for thousands of years. "Where should we go?" is one of many stories Satam relates through her perceptions as an environmental scientist, and now through her mastery with a camera lens. 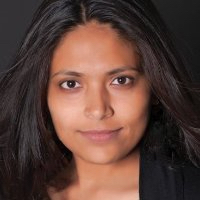 Satam's compassion, insight and courage illuminate her work, as she strives to make the world aware of impacts of Climate Change on human beings in places being hardest hit. THANKS to Prof. William Allen, University of Missouri, for making the connection to Earthworms for this interview. Humans are pumping CO2 (and other heat-trapping gases) into Earth's atmosphere, causing whopping changes to our climate, aka global warming. 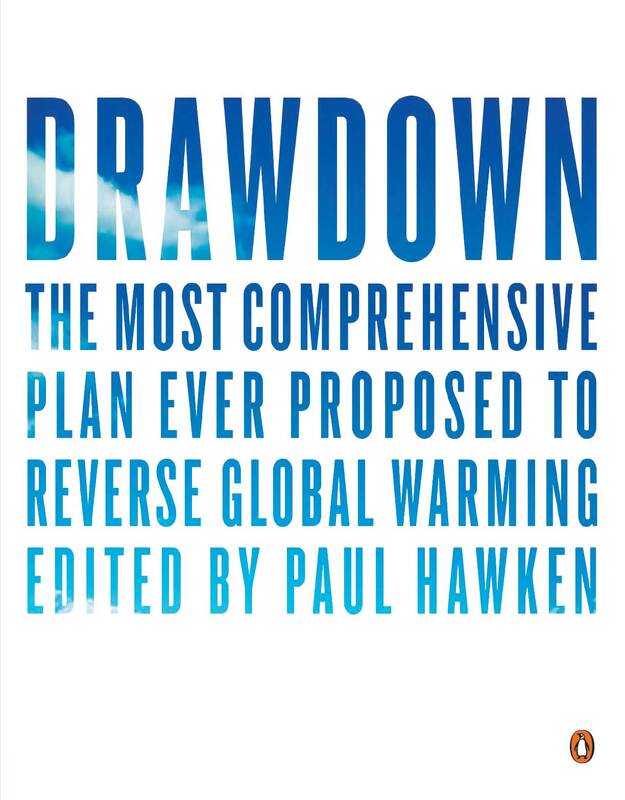 Project DRAWDOWN says (and documents with data) that actions currently in use can, if combined and ramped up, literally draw down over-concentrations of these gases into Earth systems (like soil, trees, oceans) designed to contain them. And reverse global warming. 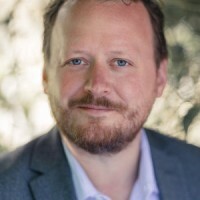 Chad Frischmann, VP and Research Director for Project DRAWDOWN, worked with multi-disciplinary professionals who have researched the potentials of measures ranging from increasing renewable energy generation to people eating plant-based diets to educating girls - and more. 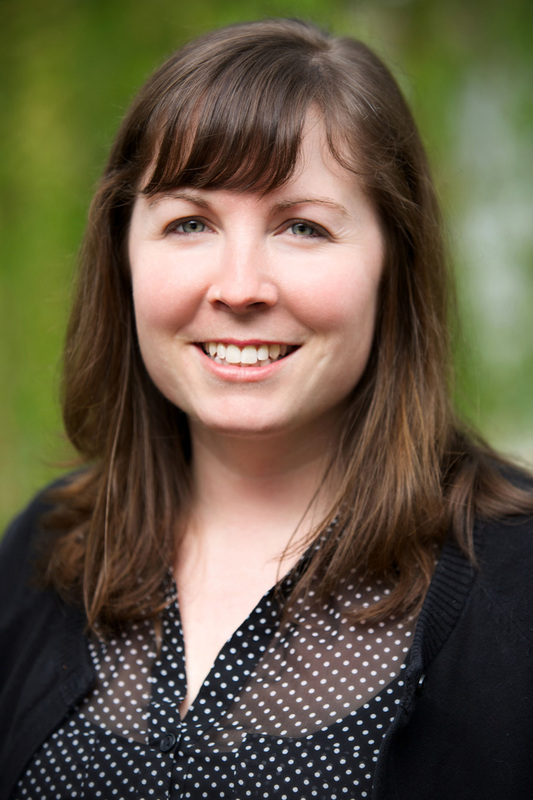 Erika Boeing, now based in St. Louis, is one of the DRAWDOWN Research Fellows and her company, Accelerate Wind, is developing technology to boost wind energy production. The entire project is summarized in a 2017 book that immediately hit the New York Times Bestseller list. 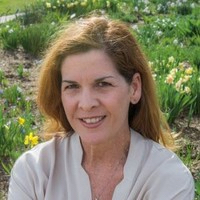 A St. Louis talk on March 13 will spotlight four Missouri enterprises implementing measures defined by DRAWDOWN, including Ms. Boeing's work, and will describe the audience to Project DRAWDOWN. With plenty of work needed, this project is seeding optimism in what world leaders and scientists call the moral issue of our time.